Add an Outdoor Recreation Course! Update or Remove a Course! Working in Australia & NZ! This qualification provides the skills and knowledge to be competent in leading a number of outdoor recreation activities in uncontrolled natural environments such wild bushland, lakes, wild rivers, caves, mountains and alpine terrain. 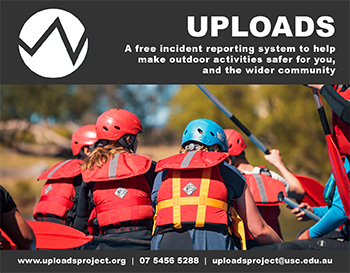 This qualification provides the skills and knowledge to be competent in planning, implementing and evaluating outdoor recreation programs and activities across a range of activity areas. Would you like to turn the great outdoors into your own office? The Certificate IV in Outdoor Recreation at TAFE Queensland East Coast could turn your passion into a career. Many different employment opportunities exist within the outdoor recreation industry, particularly in relation to leading adventure activities for school-aged children. This course is available for immediate start. No need to wait for a start date or expression of interest - Enrol online and start your course today! Walking Country was established in response to the growing demand by travellers for experiential walking based tours of Central Australia as well as the increased awareness of the now famous Larapinta Trail. We are looking for energetic, active and outgoing people to train as tour guides / trekking leaders and ground support staff.